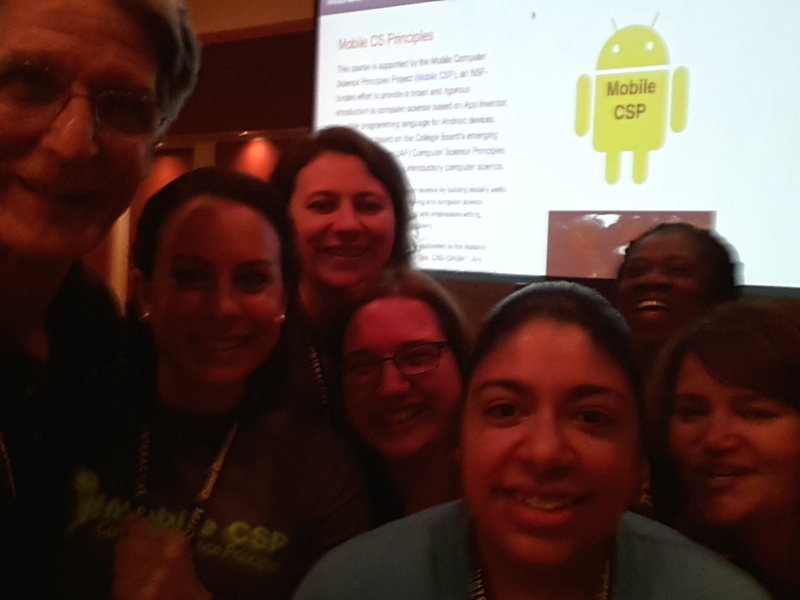 Members of the Mobile CSP team (left-to-right Ralph, Jen, Elizabeth, Pauline, Chinma, and Chery) held a workshop on "Teaching Computing Through Mobile Technology" at CSTA 2015 (Computer Science Teachers Association). 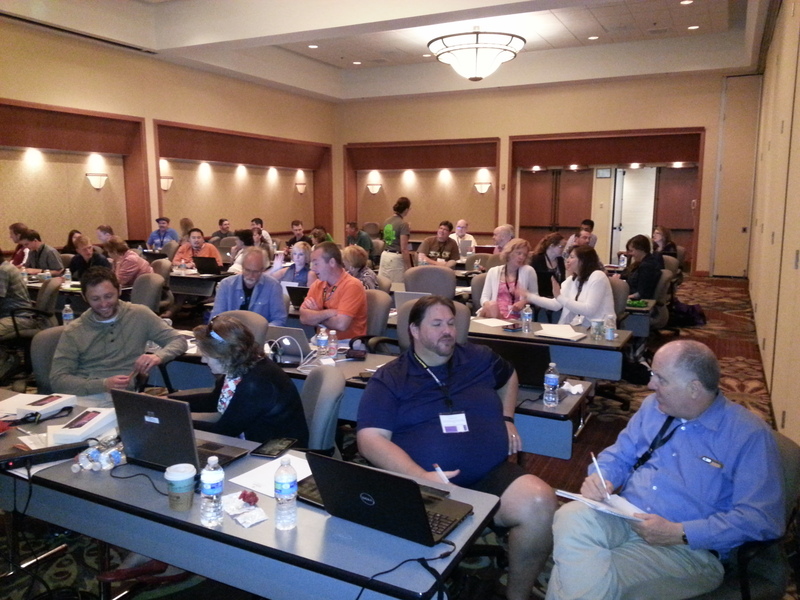 The workshop was attended by 45+ teachers. The participants built a version of the Paint Pot app and had fun customizing it in various ways. They also tried one of the CS Principles lessons -- the parity error checking lesson. Rachel Martinich, one of the Mobile CSP teachers from the 2014 cohort, described her experiences teaching the course during the past two years and showed examples of her students' work.